Locking clip blade with folding guard in satin-finished, corrosive-resistant ATS-34 stainless steel with Standard Jig Antique Bone handle scales with stainless bolsters, liners, and badge shield. Complete with zippered suede leather storage pouch. Length Closed: 5¼”. Production limited to 100 pieces. 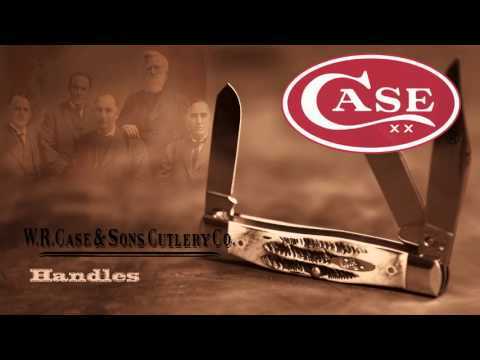 W.R.Case & Sons Cutlery Company has collaborated with legendary custom knife maker Tony Bose to produce Case Custom Built factory knives as close as possible to those he makes in his own shop. Inspired by patterns from the 19th and early 20th centuries, each masterpiece incorporates a host of true custom features like stainless steel bolsters and liners that are buffed to seamless finish, with the liners milled for improved blade fall. Genuine bone handle scales, unique badge shield, and ATS-34 stainless steel blades complete these knives in exquisite detail.